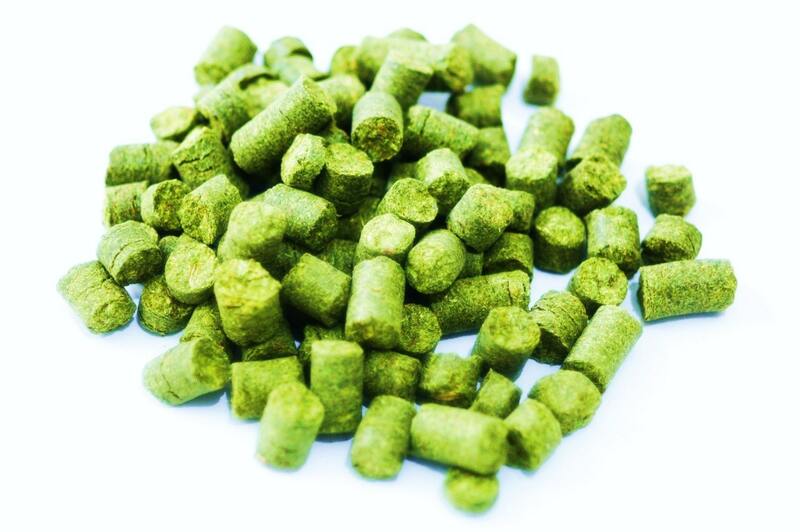 Amarillo hops originated in the U.S. and brings a relatively high alpha acid kick to the table ranging from 9% to 11%. This particular variety is packed with citrus aroma and flavor making it a great dual purpose hops. The myrcene oil content within the cone is some of the highest, and this explains its grapefruit and orange flavor. This myrcene level can also contribute a metallic flavor to the beer if used in abundance.